The Uganda Tourism Board (UTB) and other tourism agencies are working around the clock in preparation for the celebration of the World Tourism Day scheduled this Thursday 27th of September. This year’s celebrations under the theme “ Tourism and the Digital Transformation”, will take place at the Source of River Nile, the longest river in the world. 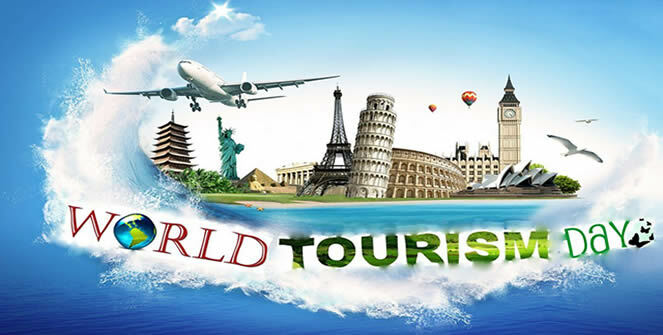 The World Tourism Day is celebrated annually on the 27th of September and people all over the world join together to reflect on the importance and benefits of tourism. The United Nations World Tourism Organization (UNWTO) is the major annual promoter of the event. According to the Uganda Tourism Board (UTB), there have been month-long activities that started on 6th going up to the climax of the event on 27th September. This long period of activities would provide an opportunity to different stakeholders and the country at large to recognize and embrace the importance of digital technologies in tourism. Among the activities that have been taking place before the main celebrations include; Uganda Hotels and Restaurants Expo from 6th-8th September at Hotel Africana, Tourism forums and workshops, Smart Youth Conference, Sports gala and dinner. Others are “Tulambule – Busoga region, a domestic tourism promotion campaign aimed at encouraging Ugandans to engage in Uganda safaris to different tourism spots all over the country. Cultural and trade exhibition and a tourism Night will precede the World Tourism Day celebrations. Other agencies that have been working hand in hand with UTB together with the Ministry of Tourism to spearhead the preparations of this day include UWA, Uganda Wildlife Education Centre (UWEC), Civil Aviation Authority (CAA) and Hotel and Tourism Training Institute (HTTI). Others include the private sector through its umbrella organization – Uganda Tourism Association (UTA) that has been playing a major role in mobilizing the different private stakeholders and the tourism fraternity to actively participate in this year’s celebrations. The Tourism sector has emerged as Uganda’s leading foreign exchange earner for the last three consecutive years and it is expected to rake in record Shs9.4trillion each year by 2020 according to UTB. The key players in Uganda’s tourism industry as far as attracting tourists is concerned include in Bwindi and Mgahinga national parks, game drives, birding, nature walks and hiking in most of the country’s parks. Other activities that attract tourists into the country include boat cruises and white water rafting on lake Victoria and at the source of the Nile respectively, cultural and historical tours around the country and entertainment.